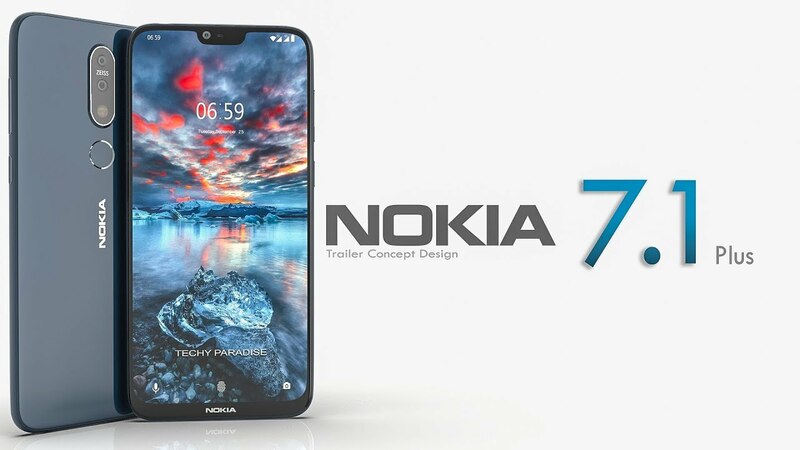 Nokia 7.1 plus is expected to be the first phone from the brand to feature the Snapdragon's 700 series chipset. This processor stands between the 600 and the 800 series. So it will provide good performance in a mid-range smartphone. Nokia 7.1 plus is expected to carry the Qualcomm Snapdragon 710 Soc in it. The processor has 2 kryo 360 gold cores clocked at 2.2 GHz and 6 kryo 360 silver cores clocked at 1.7 GHz. It has the support of Adreno 616 GPU to provide smooth and lag-free gaming experience. This is also the first processor from Qualcomm to feature Adreno's 600 series GPU in a mid-range chipset. The processor is also manufactured on 10 nm process like the 800 series. The software section also will be good as Nokia provides stock Android experience in its phones with the Android One program. And we hope this one will also be no exception. The only thing to think about is will it be the first Nokia phone to come with the Android Pie out of the box or it will also have the Android 8.1. In the design and display section, we have the same glass back with aluminium framing and a notched display like the others of Nokia ( X5 and X6). It has a 6.1 inch IPS LCD display with 1080x2280 resolution with 19:9 s aspect ratio and 414 PPI pixel density. The display may have a Corning Gorilla Glass 3 protection on it. In the optics section, Nokia 7.1 plus have a 12+5 MP dual rear camera setup, matching with the trend. The primary one has an aperture of f/1.9 with dual tone dual LED flash and the second one works as a depth sensor. In the front, it has a 20 MP selfie shooter with f/2.0 aperture. One disappointing section comes with the Nokia phones that is their battery. They are still stuck with 3000 maH mark where others are providing 4000-5000 maH battery capacity. The same sorry repeats with the Nokia 7.1 plus also. It carries a 3300 maH battery. It can last a full day with moderate usage without charging having they kind of Soc in it. But Nokia can do better in its battery department. The specs are expected to be moderate like the Wi-Fi 802.11 a/b/g/n/ac, dual-band, WiFi Direct, hotspot, Bluetooth 5.0 and the Quick Charge 3.0 support with the type c port. The phone will have 4/6 GB ram variants and 64/128 storage variants along with the core variants of black, blue and white. The pricing will be the key factor for Nokia to make the mark again with its phones.